Prints combined with high quality acrylic glass and Dibond® sheets commonly used on the art market. The paintings are first prepared in the extra durable giclée technique and then attached to high quality acrylic plexiglass using special methods and crystal clear glue. Finally, the print and plexiglass are combined with a two-layered aluminium and polyethylene Dibond® sheet. These carefully selected steps create an effect of depth, contrast, sharpness and saturation unmatched by any other technique. 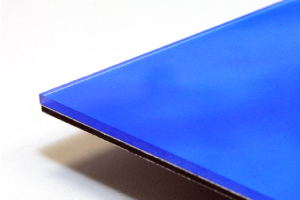 Thicker acrylic glass further increases the distinct transparency. The Dibond® sheet provides durability and protection, preserving the painting from dust, scratches and damaging UV radiation.